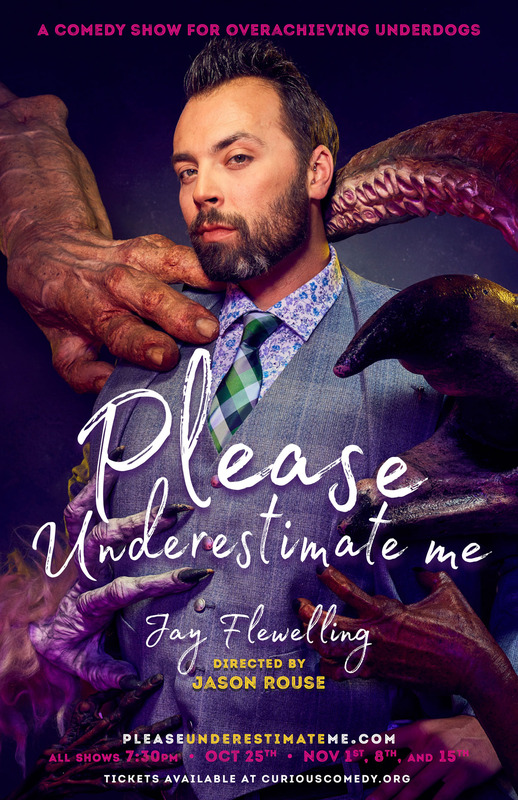 Please Underestimate Me is an autobiographical sketch comedy-style theatrical event based on Jay Flewelling's personal essays. Throughout his life, whether he was surviving a Christian elementary school, traveling internationally, or jogging on a public street, Jay has been underestimated. But is being the underdog actually an advantage? Five actors and an ASL interpreter alternately embody Jay and a host of other characters throughout a series of funny, bizarre, and touching situations both scripted and devised. Directed by Jason Rouse, and photographed by dramatic comedy photographer Andy Batt.